Previously in Bangladesh, people did not eat chicken, but there was no such taboo on the consumption of duck meat and eggs. 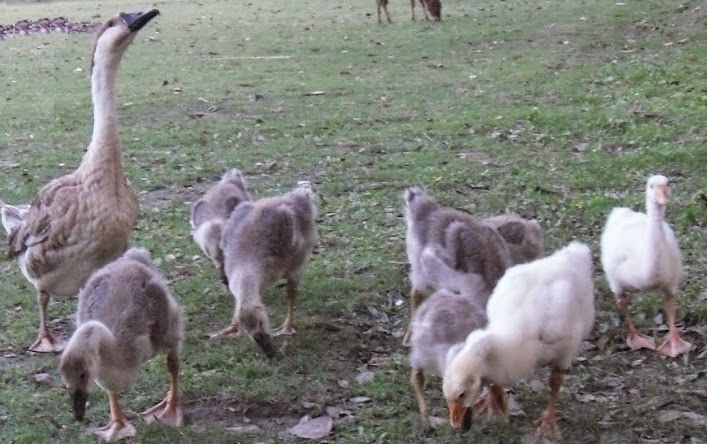 For the backyard Poultry in Bangladesh, the ducks were usually sold for table purpose and the chicken as game birds for fighting. The inputs required were very small as they scavenge their feed requirements and were raised with little veterinary care. They were ready to eat everything from a duck's egg, quail’s egg, tortoise egg, to even a pigeon's egg, but in case of chicken almost all the eggs produced were made to hatch and reluctant to take a single due to socio-religious taboo. This ideology has increasingly reduced in tenacity in the last two decades. On the farm the poultry animals played other important roles beyond a source of food protein. The chickens were used to control insect population. Chickens will eat many pests found in a garden and if allowed to roam the farmyard they will eat ticks and larvae that could infest other animals. After a harvest poultry animals were allowed to glean the fields where they ate any missed grain and also added fertilizer as they roamed. Poultry also acted as an alarm system. The early morning rooster would wake the farmer to another day. The domestic swan [rajhans রাজহাঁস] can be as ferocious as any guard dog. "Eggs have everything that we want from protein and minerals to vitamins. The much maligned egg yolks are one of the few foods to have Vitamin D and lutein"
We love having the traditional Bengali comfort brunch on the winter weekends, which consists of overboiled flavorful gobindobhog rice with a dallop of clarified butter, hot mashed potatoes with amul butter and a handful of soft boiled eggs or it can be hard boiled with mustard oil in an uncomplicated way clearly as they are, which is then mashed with a boiled potato, and then everything is mixed together with sliced onion and green chillies. Every single time, it acts as a stimulant in our mind caused by the delicious smell of somebody cooking in the neighbourhood in the winter days and the aroma of this special rice with ghee is so tempting that it enhances our hunger and we wait throughout the week to have that awaited brunch. 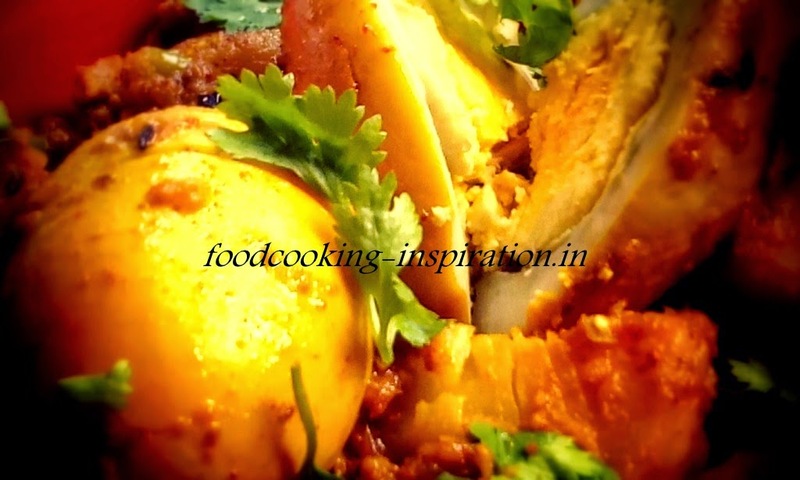 At first pierce the eggs with a fork and season the eggs and cubed potatoes with salt and turmeric. Heat oil in a deep pan, fry the seasoned eggs until golden brown, keep aside. In that same pan add bay leaves and whole red chili, add whole garam masala. Now add minced onion, add salt and sugar, fry a little. Add ginger and garlic paste, fry until changes color. Now add cubed potato. Mix well. Now add masala paste and 2 to 3 tsp hot water. Mix well, keep the fire simmer and wait until oil oozes out. Now add fried eggs mix and put off the fire. Add coriander leaves and green chili. Cover for a few minutes. Duck egg masala is ready to be served by then, serve this dish with any type of rice or bread as a complete planned food. Eggs were probably the first human-animal food. Early hunters and gatherers stole eggs from nests for a source of food which generally had just the right size to be consumed in one sitting. In every society on Earth, a people, a tribe or an ethnic group makes use of the full potential of edible items in its surroundings, although an especially well-studied one, it involves the ancient people for example hunters and gatherers to maintain the balance of production and availability for conserving resources as well as a person's health condition in which certain food effects on the body in certain conditions. The great scholars wrote their researches in slokas, which were easy to remember and teach. কে কত আনা নেবে বলে দাও না ||"
এই ছেলেটি খাটিয়া চোর ||"
কে কত আনা নিবি বলে দে না রে ||"
It is easy to see how regular avoidance can turn into a tradition and eventually end up as a food taboo over history. Social anthropological research on eating has frequently invoked magico-religious motives or has seen the dichotomy between positive and negative rites as a basis for food taboos. Yet even rituals and taboos based on spiritual, religious, and magic ideation must have had a "history" and somehow 'got going' that illustrates some of the wide spectrum of food taboo origins. This is a highly debated view and no single theory may explain why people employ special food taboos. Moreover, any food taboo without medical reason, acknowledged by a particular group of people as part of its ways, aids in the cohesion of this group, helps that particular group maintain its identity in the face of others, and therefore creates a relief and feeling of "belonging". Food taboos frequently accompany 'coming-of-age' or initiation ceremonies and can also be prescribed at times of drought, flooding or lunar and solar eclipses, and many more events due to unknown behavior of the nature. Thus, one of the aims of food taboos is to highlight particular happenings. During any religious ceremony for a Brahmin who was educator by profession in the caste system, the offering of food to the gods always precedes food intake. Food, thus, becomes sanctified and is called 'Prasad - God's Mercy', which is then partaken. This practice follows from the ancient scripture "Bhagavad Gita" , in which the Lord says: "If one offers Me with love and devotion a leaf, a flower, fruit, or water, I will accept it" [Text 26] thus all that you do, all that you eat, all that you offer and give away as well as austerities that you may perform, should be done as an offering unto Me" [Text 27]. 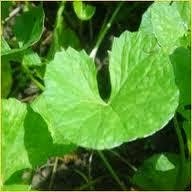 They studied that plants also have life, though in a more sedate and sedentary form. The use of plants as food is considered less sinful than taking the lives of animals, but they must not be broken or harvested after dark [because of scientific reason about CO2 released from the plants and active insects!!]. The saying "You are what you eat" is explicitly mentioned in the Bhagavad Gita [Chapter 17: 31]: "Foods in the mode of goodness increase the duration of life, purify one's existence and give strength, health, happiness and satisfaction. Such nourishing foods are sweet, juicy, fattening, and palatable. Foods that are unclean, too bitter, too sour, salty and pungent, dry and hot, are liked by people in the modes of passion. Such foods cause pain, distress, and disease. Food cooked more than three hours before being eaten, which is tasteless, stale, putrid, decomposed and unclean, is food liked by people in the mode of ignorance". Thus, although this powerful message does not contain precise instructions to "do" or "not to do", it describes the effects of different kinds of food and leaves the final choice to the individual. The non-selected foods may therefore be declared food taboos by society. Modern people have fewer food taboos to observe, but nevertheless some also exist although even today. The people belonging to particular race, creed, caste or class sometimes partake in fish, eggs, and even meats commonly chicken, goat or mutton, these are never to be cooked or eaten during religious occasions, marriages, times of mourning, breaking religious fasts, pilgrimages, and similar times. It is a well-known fact that India has gifted the world with the species Red Junglefowl [kukkut कुक्कुट] and the Silver Junglefowl of whose progenies domesticated and crossbred. The history of poultry in India is about 5,000 years old. The strange paradox is that although this country introduced poultry to the world it remained indifferent to it for a long time. The main factor was a religious taboo on poultry products in many Indian communities. The credit for developing the poultry in this country should go to the Christian missionary organizations and some Britishers who brought a few superior exotic breeds at the beginning of the twentieth century. For ethnic tribal groups and communities indigenous poultry are of special interest because of their socio-religious use. They are not only efficient converters of agricultural byproducts, particularly of wastes into high quality meat but also provide eggs, feathers and rich manure. They separate the spoiled eggs from good eggs by emerging them in a bowl of water. It is believed that the spoiled eggs are those which float whereas good eggs sink into the water. This practice is also followed in the rural areas.